A STUNNING EXAMPLE IN BLUE METALLIC, SHE HAS THE FULL PANORAMIC SUNROOF, AND FULL LEATHER TRIM, SHE HAS JUST BEEN SERVICED AND MOT'D,ALSO HAD NEW TIMING CHAIN KIT REPLACEMENT @ 91000 MILES SHE LOOKS AND DRIVES SUPERBLY. This advert is for an Alfa Romeo Brera, click Alfa Romeo Brera in Waterlooville to see more cars like this in the local area. Want to search further afield? 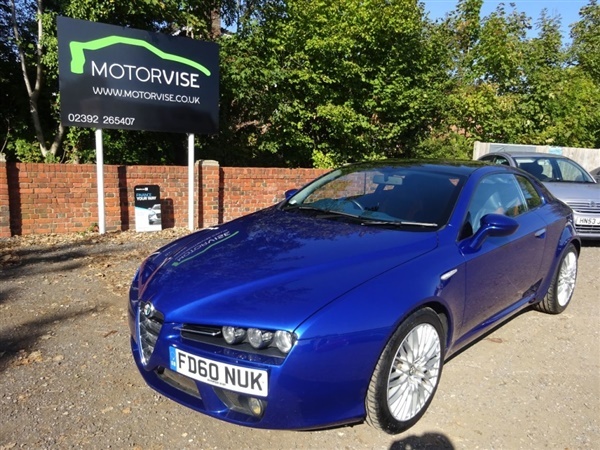 Click Alfa Romeo Brera in Hampshire to search for similar cars in the wider Hampshire area.